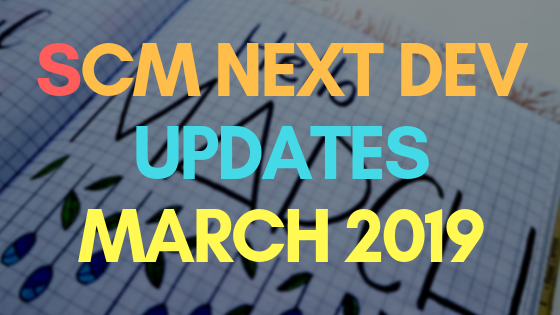 Updates to SCM Next rolled out over the last few weeks. Click the button to download either the Win or OSX program. No install is required. Just extract and run. Display version number on the top right hand corner of application. Will change color to red, if a new version is available to download. Clicking on the link will take you to download page. Proper area for you to submit bug reports and contact support directly within the app now. 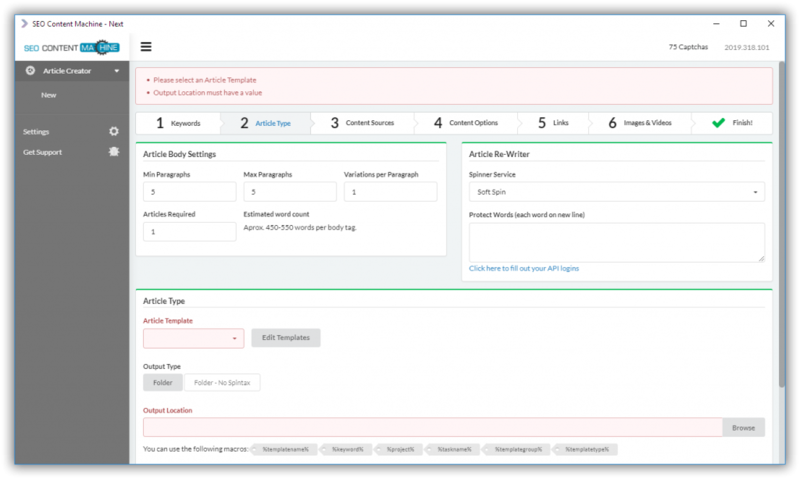 Added tooltips over buttons so that you know what they do on the article creator task list screen. 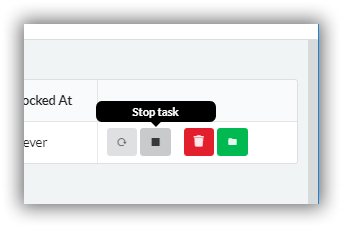 Added a small button for you to copy the task log to the clipboard. Useful if you have a problem and need to contact support. A task log will help us figure what is wrong quicker. 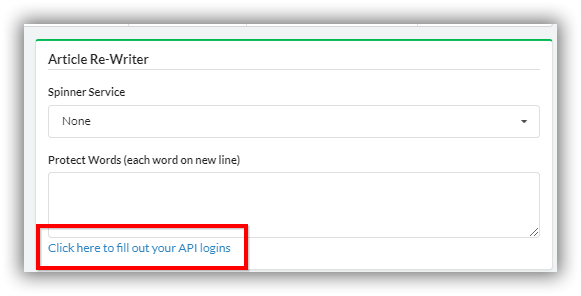 Nice little shortcut to open the logins screen when you need to fill out spinner login details. Click on the link in the Article Re-writer panel. Aligned the top menu and SCM next logo so its level. Looks clean now. 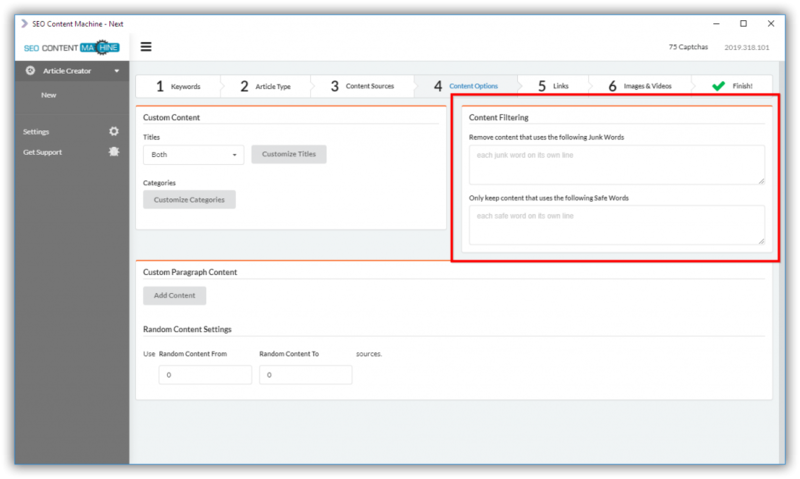 The article minimum words setting has been removed. SCM will take care of this in the background. (Min is set at 10 words per sentence). File writing speed was about 1 sec per file, due to a small programming decision. This has been lowered to around 0.01 of a second now. espinner has been added as a spinner option. 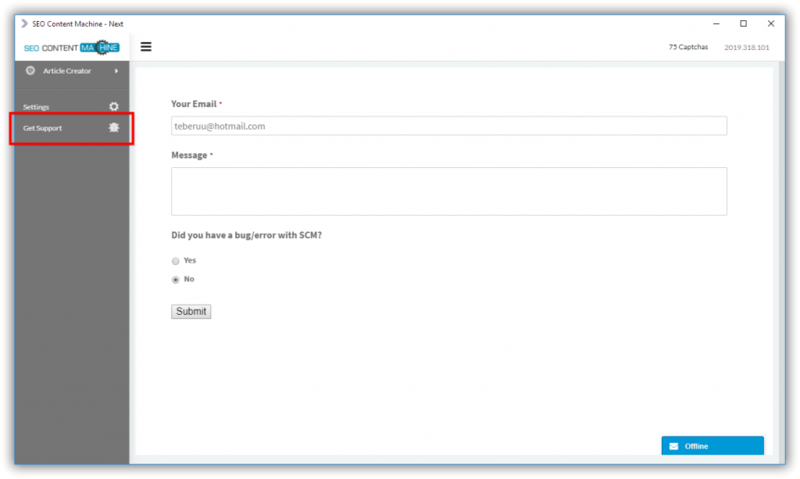 User junk filtering has been added into the article creator. Find it under the content options box. You can tell SCM to ignore sentences that use a junk word, or force a sentence to use a word in order to be used in your article. If you are importing keywords from a file, the keyword order is shuffled before it is used. If SCM is using a keyword file and it stops partially, it will resume where it last stopped. The logic for this is stored in the my-keywords-file.txt.partial file that is written to your hard drive. 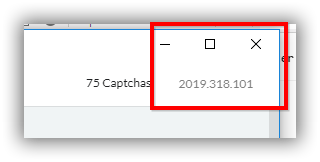 You can open this file to see what keywords haven’t been processed before SCM was prematurely stopped or the task crashed. Resume without headaches. Added Word AI as a spinner as well. Bug fix. Article creator would use 1 sentence to create a paragraph of content. This led to thin content. It now intelligently selects between 3-6 sentences to make a paragraph. Spinner will calculate the exact amount of content it needs before spinning. 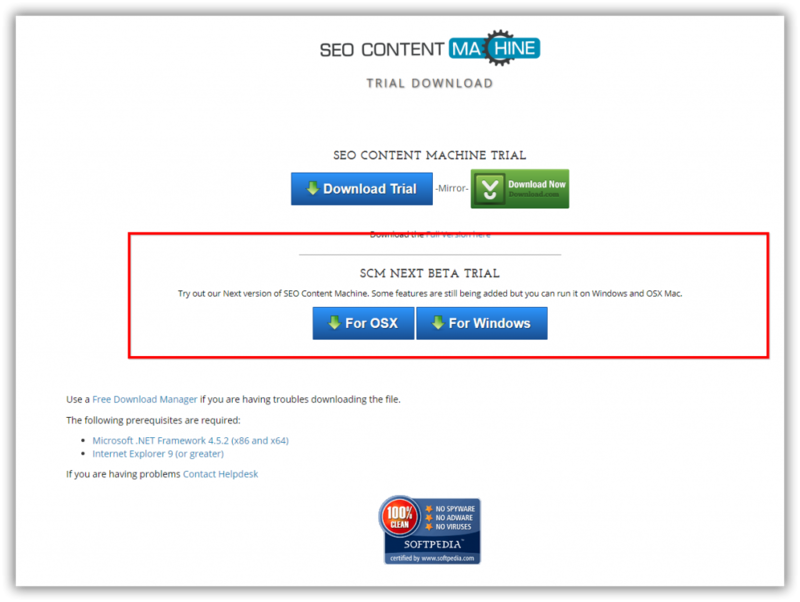 Even if you over download content the content, only what is required is used. This saves on usage. Bug fix. Unable to delete a link if it is the only one in the article. Bug fix. Article creator wasn’t actually adding links to your article. You can correctly enter your own link format string, as well as re-select it.